Liz`s musical education began as a junior at the Royal Academy of Music, sponsored in full by her local education authority and thereafter on a scholarship at Trinity College. Her main course of study was practical, the violin and keyboard. Since then she has been earning a living using skills developed at this time. She has been an ISM member for nearly 20 years. A few years as a professional quartet player were closely followed by positions in the BBC and both London opera house orchestras. At the Royal Opera House where she had a sub-principal first violin position she was fortunate to work with the most distinguished conductors and singers of the time, and also to spend time touring the world. Since becoming a freelance player she has worked in the London`s West End theatres and in many recording venues and concert halls, gaining experience of a very wide variety of musical styles and genres. She considers herself fortunate to have worked alongside so many talented and inspirational musicians. 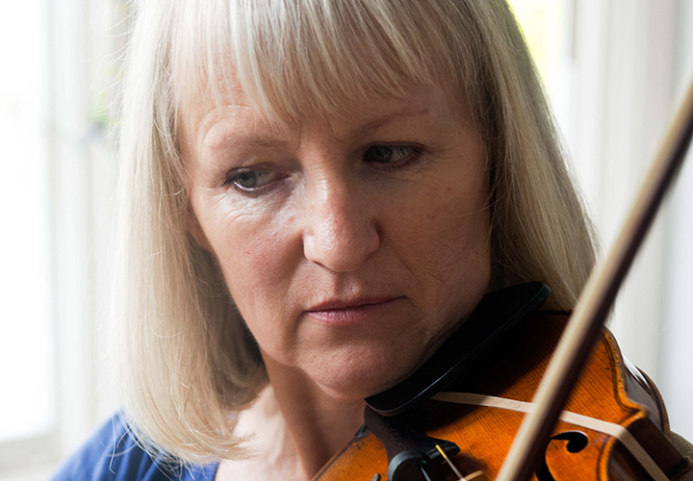 Teaching and coaching have been a major part of her portfolio and from that, and work with the BBC Symphony Orchestra has developed her interest in promoting new and accessible music for young people and amateurs. A set of newly commissioned string quartets is soon to be published. She has presented two seminars at ESTA conferences is also a Trinity examiner. Married with two children, she has always been an advocate of strong protection for children and also for the professionals working with them.